Islamic Deception..A Guide To The Ways Muslims Lie. It’s about time! Muslims in America are being exposed as they reveal themselves during their speeches meant for Muslim ears only. Now the fun begins as they attempt to change what was said by accusing Islamophobes of editing, misconstruing, and misunderstanding their terms. In their continuous effort to play the word game, it only takes a look into their doctrine to see the truth. 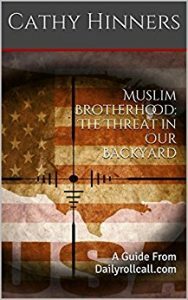 Last week at a Muslim Brotherhood front group conference (the Islamic Society of North America..ISNA), Linda Sarour, a self proclaimed, egotistical, Muslim activist gave a keynote speech in which she declared their prophet said “jihad is a word of truth in front of a tyrant, ruler or leader. That is the best form of jihad. I hope that when we stand up to those that oppress our communities that Allah accepts from us that as a form of jihad”. So yes, Jihad is technically a struggle, because Muslims must strive to convert everyone to Islam. When a Muslim speaks of oppression and tyranny, it is not what we think. Muslims in America are far from being oppressed in the sense we believe oppression to be. Oppression to a Muslim is the inability to openly demand Christians and Jews convert to Islam. Being in America, Muslims have had to say they are tolerant of other beliefs, therefore they have been oppressed. *Taqiyya– defined as dissimulation about ones Muslim identity.The Quran says, “Let believers not make friends with infidels in preference to the faithful – he that does has nothing to hope for from Allah – except in self-defense (Sura 3:28). This “self-defense” justifies dissimulation. Islamic Sharia Law provides, “When it is possible to achieve an aim by lying but not by telling the truth, it is permissible to lie if attaining the goal is permissible, and lying is obligatory if the goal is obligatory.” (Reliance of the Traveler, r8.2) Examples include lying to protect Islam or a Muslim. *Tawriya is defined as concealing, and it could be called “creative lying”. It is OK to break the intent of the oath, as long as you don’t break the letter of the oath. (Reliance of the Traveler, sections O19.1 and )19.5) How does this work? Suppose someone protests that Surah 1 of the Quran demeans Christians and Jews, because it is a supplication Muslims make to Allah seventeen times a day to keep them from the path of “those with whom God is angry” and “those who have lost their way”. A Muslim might respond, “Surah 1 never mentions Jews or Christians.” He is practicing tawriya, because while Surah 1 does not mention Jews and Christians by name, but he knows full-well that the words “those” refer to Jews and Christians. This video of the Islamic Society of North America’s conference keynote speaker, Linda Sarsour is filled with deceptive and distorted words. Listen for yourself noting the above terms. Videos dont lie..but Muslims do. Next → Next post: Muslims Mock Christians Behind Their Back of Course!